It is customary to offer sympathy flowers to the home of the bereaved family. To honor your loved ones with flower arrangements is an expression of love and comfort. Express your heartfelt condolences with floral arrangements from the Fremont Memorial Chapel Sympathy Store. 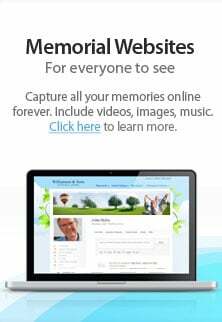 The Fremont Memorial Chapel website has a beautiful Sympathy Store with many tokens of love and sympathy. The delicate beauty and fragrance of sympathy flowers or live potted plants convey condolences and love when words fail. While funeral flowers are delivered directly to the funeral home, sympathy flowers are delivered directly to the home of the deceased. Nothing so beautifully expresses eternal love at a memorial service or funeral than fresh flower arrangements. We have made it easy to order funeral flowers for direct delivery to our funeral homes. We offer a breathtaking selection of with flowers for the funeral service, flowers for the casket, sprays, crosses, wreaths, and more. Flower baskets, live plants, vases and smaller arrangements for delivery to the home are a fitting expression of love. Our beautiful arrangements may be ordered from our online flower shop. We believe our arrangements are an exceptional value. Visit the Fremont Memorial Chapel Sympathy Store and find the most fitting sympathy gift to express your condolences.